Le Grand Bornand and La Clusaz are two French ski resorts with names that sound vaguely familiar, but for many Brits remain relatively unknown. What’s even less well known is that these two classic ski areas are actually neighbours, sharing a joint lift pass and, of particular interest to us Brits, a close proximity to Geneva Airport, just an hour away, making them a great choice for a short break ski or board trip. The local tourist board have done their best to get the word out. Sometimes they’ve put the two resorts and smaller villages nearby together under the name ‘Aravis’ – the local mountain area, or even Lake Annecy Resorts, playing on their proximity to the major attraction of Lake Annecy nearby. But all these names may just have confused things further and who thinks about Lakes when they’re wanting to go skiing? Firstly, and probably in priority order, the skiing! The two areas combined offer a brilliant 220km of pistes with a fantastic mix of terrain and slopes to suit all tastes and standards. The scenery in the region is particularly stunning, and there are plenty of cosy mountain restaurants from which to look out and take it all in once you’re ready to stop for a breather. What’s more these areas are famous for their empty slopes, lack of lift-queues and great snow records. 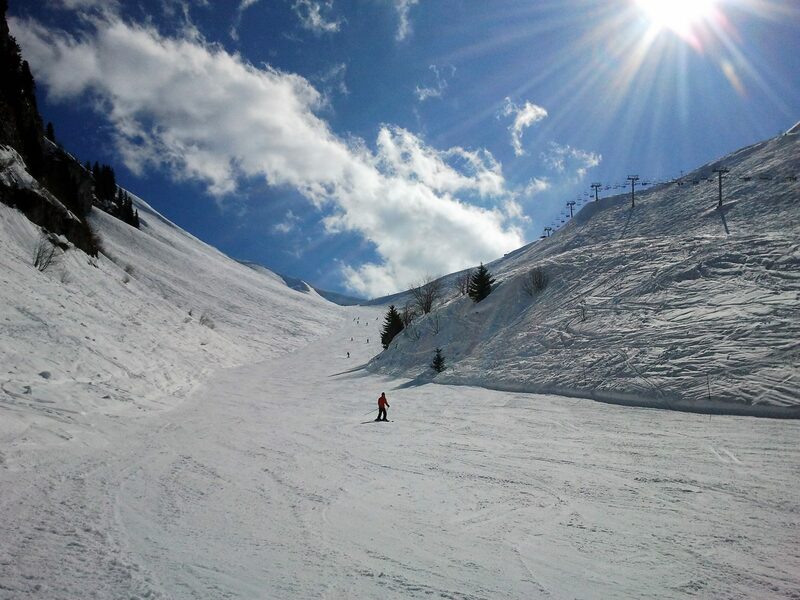 Le Grand Bornand is the smaller of the two villages with 90km of piste, the perfect beginner / intermediate resort and the ideal choice for your first day back on the slopes to get those ski legs back. Or indeed if you’re just looking for relaxing terrain for a laid-back weekend away with friendly locals, you may spend your whole stay here. As well as a huge learner area (complete with a long, wide easy-to-ride and weather-protected covered carpet lift) – there are lots of confidence building runs here graded both green and blue, and with recent developments it’s easier than ever before to ski all around the resort on “gentler and accessible” runs. For example the new Myrtilles piste opening up the valley of Maroly to nervous intermediate skiers. Easy to navigate and well linked runs and lifts. 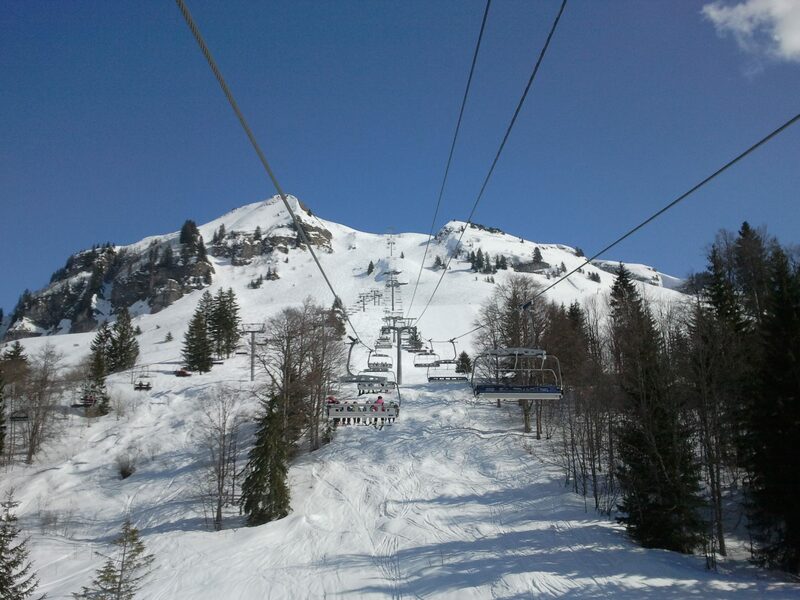 But Grand Bornand is a complete destination resort in its own right and there are a good choice of “reds” to whizz around on too – plus a couple of blacks (with bumps) for the more hardy skiers. A little surprisingly perhaps, given that easy-family-friendly atmosphere, there’s also a large snow park, one of the top 5 in France no less, and complete with a free Big-Air bag. 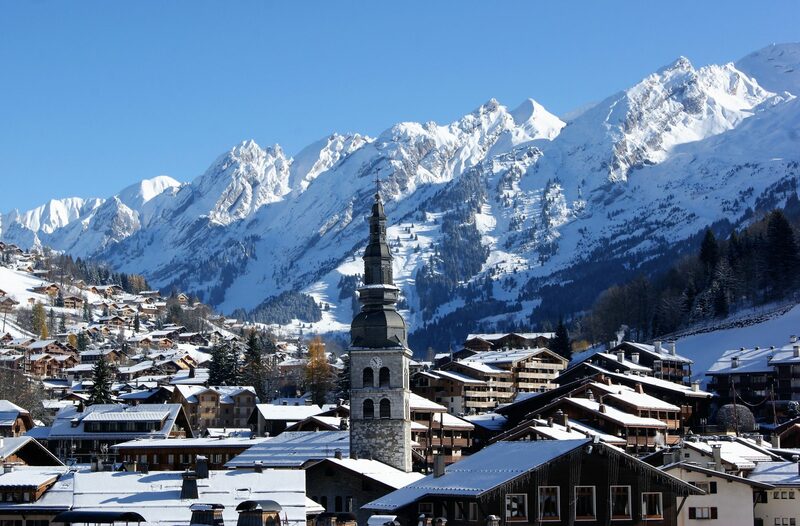 La Clusaz is the larger and internationally better known village of the two with more than a century of winter sports heritage and 135km of pistes across five massifs and a real “ski resort” feel. Skiing is spread out over five mountains (all linked with runs and lifts) but the size of the area is such that you do need to have a plan and keep an eye on the piste map for how to get back home. But it’s great for touring and exploring and you can really feel like you are covering some ground and changing your views by taking our favourite loop around Beauregard – Croix Fry – Medrassier – Etale – Cret de Merle. There are a fair choice of challenging runs with some peachy reds on Etale and the Aguille. The area of La Balme is home (literally – he lives in a chalet by the car park) to the global superstar of freeski videos Candide Thovex and he can often be found “playing” on the bumps and rocks of this freetyle paradise. It’s famous for its great snow and huge area of accessible, lift served off-piste all the way up to 2,500m. Skiing is never going to be a cheap holiday but you can get much more for your Euros in some resorts than others and it tends to be the traditional, year-round communities that offer better value than the high altitude corporate-run ‘moon bases’ which become ghost towns once the ski season is over. Grand Bornand offers particularly good value so a hot chocolate stop in a mountain restaurant here is not going to break the bank. Similarly a café au lait or beer should come in at under 3 euros in most places and a main for lunch can be 10 – 12 euros. Both resorts are very traditional at their hearts. La Clusaz manages to combine both traditional ambience and sometimes a slightly cosmopolitan and quite chic atmosphere in its very well presented village. It is focused around the large pedestrianised church square and the adjacent ski lifts and runs (yes, you ski back to the heart of the village). In terms of après-ski La Clusaz features a good choice of bars, restaurants and clubs – but it’s not “in your face” and quite refined (for chic apres on the slopes the Chalets des Praz or Veille Ferme are hard to beat!). So put this all together and what do you get? Well – pretty much, something for everyone! Diverse skiing with sufficient challenge for all ability levels on slopes that are empty midweek. The runs vary from friendly beginner areas in an easy to navigate, compact ski area to more challenging runs spread out over multiple mountains. There’s great snow conditions and really well-groomed pistes and never any queues, you ski straight on to all lifts. No waiting means so much more time skiing! Spend your holiday staying in a traditional chalet and real mountain villages rather than a bland apartment in a purpose built resorts. There are both tree runs for bad weather and high mountains for above the clouds skiing the in sunshine. You’ll get good value no-nonsense food and drink or have the option to access some of the best swanky bars and restaurants for apres. The biggest appeal for many can be the super quiet slopes – midweek in January it can feel like you are only ones on the mountain. 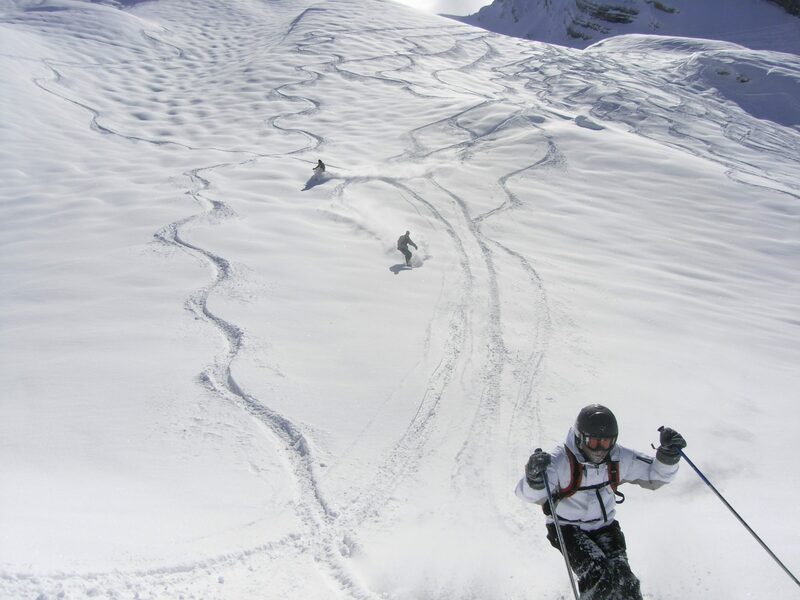 Ski Weekender are a specialist ski holiday operator who have been deeply rooted in these resorts for nearly 15 years. They are knowledgeable, experienced and caring experts who have deep insight in to all aspects of the region and local knowledge which you just don’t get with the larger operators. 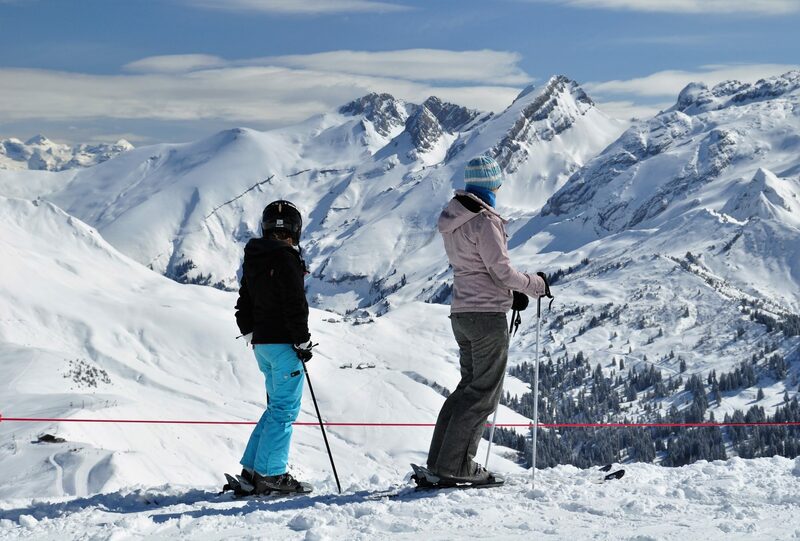 For all of the company’s short-break Ski Weekender holidays the full region lift pass is included as standard as the company feel strongly that everyone should have the ability to ski in both resorts.